I was pretty excited when I got this Graco Cleo stroller “thrown-in” with another Craigslist deal for only $25! It had only been used once, and still had the crisp manual sitting in the basket part! It’s got some pretty snazzy features, but mostly I’m just glad to be rid of the stroller that was falling to pieces and looking older than me. After I brought it home and used it a few times I went and looked at the reviews on Amazon. 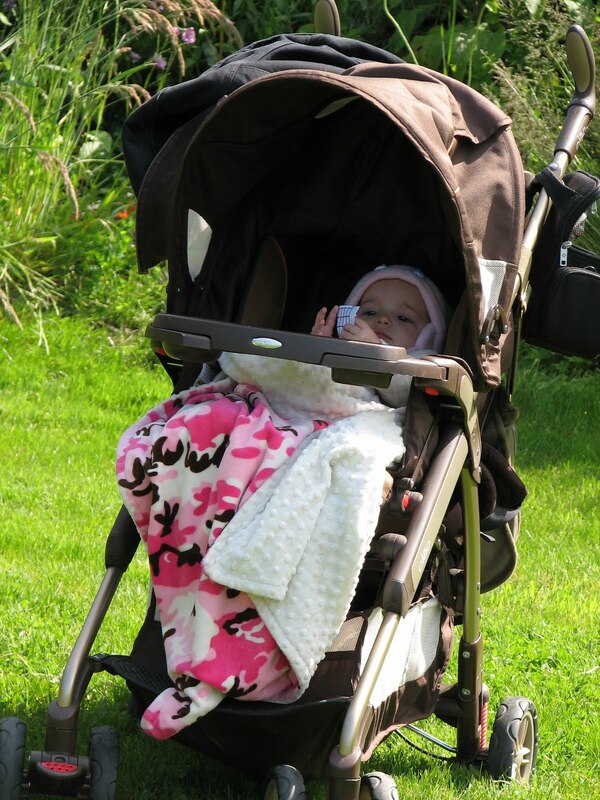 There are a few issues with this stroller, including the unfolding process (5 steps!) and this lady has it right-on. I because of it’s oddities, I would be really disappointed if I’d spent over 200 bucks on it, but for $25…I’m happy and it came just in time for our church’s camp last week! That is an awesome deal! I love scoping craigslist out for deals like that! Strollers can be so frustrating! I received a Peg Perego stroller (pricey) as a gift and it turned out to be the worst stroller I could imagine! The swivel of the wheel gets stuck and the folding process is totally ridiculous. I wish you better luck with your 3! Next post: Happy Anniversary to US!